NGC 1316 (also known as Fornax A) is a lenticular galaxy about 60 million light-years away in the constellation Fornax. It is the fourth-brightest radio source in the sky. 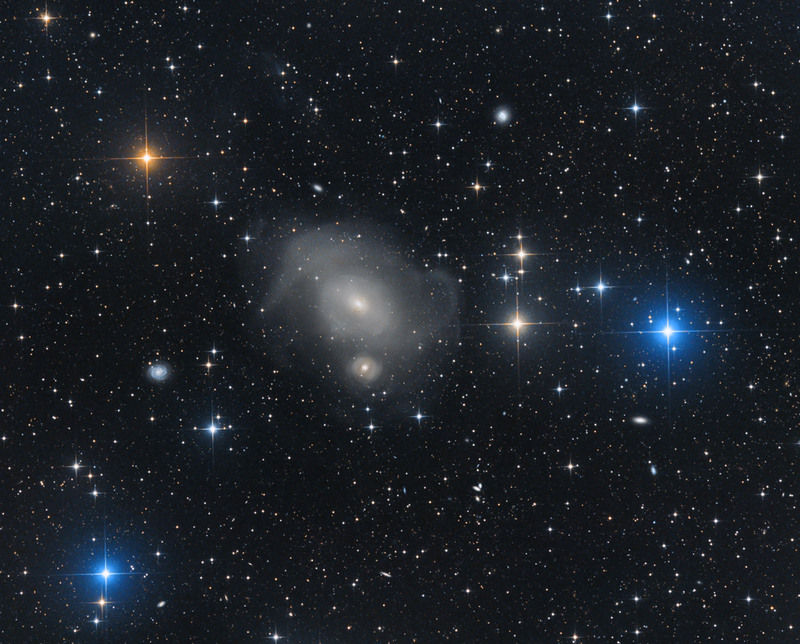 NGC 1316 is located at the edge of the Fornax Cluster of galaxies. NGC 1316 appears to be interacting with NGC 1317, a small spiral galaxy to the north. However, that small spiral galaxy does not appear to be sufficiently large enough to cause the distortions seen in the structure of this galaxy. Two well-observed supernova were hosted by Fornax A: 1980N and 1981D. Both of them were type Ia supernovae. L:7x10min,R:6x10min, G:6x10min, B:6x10min, Bin 1 Total Exposure Time 350 min.